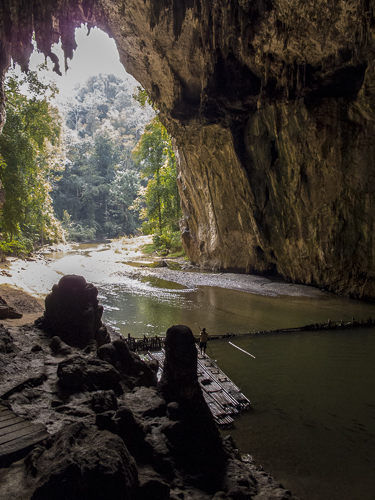 … are part of a larger complex that also includes the Banyan Valley Caves and the Steep Cliff Caves. The Spirit Cave, or the Lod, as it is locally known, is an archaeological site of great antiquity, being occupied in the pre-historic era from 9000BC to 5500BC by the Hoabinhian hunting tribe. They were a Stone Age community of hunters and gatherers who used artefacts and tools of primitive workmanship such as short axes, hammerstones, tools made out of bones etc. 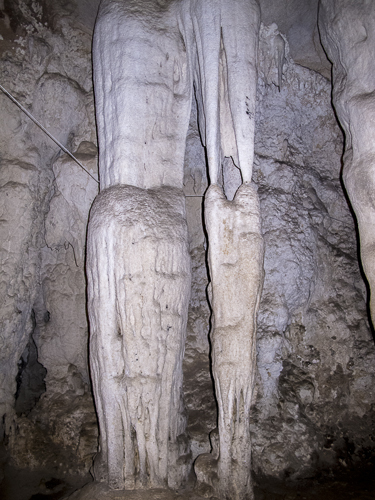 the caves were first excavated in the 1960s by Chester Gorman, an American anthropologist and archaeologist, who detailed food items and implements used by the ancient Hoabinhians. According to Gorman, the Hoabinhians learnt the domestication of plants, as exemplified by the presence of leguminous plants at the site; a number of other fruits and vegetables, such as almonds, betel, pepper, bottle gourd etc were also used as food, condiments and stimulants, and for lighting purposes. 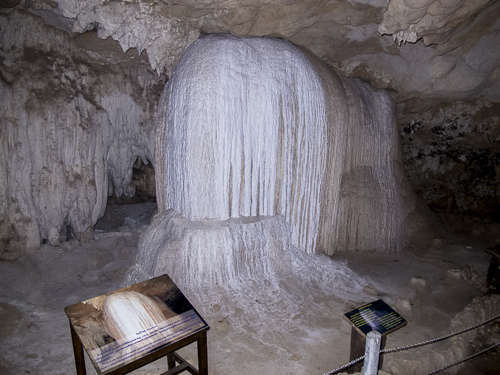 Gorma’s work was further extended in 1972 when W. G. Solheim, the director of the Spirit Caves project, published an article in the Scientific American and claimed that the Hoabinhians had also learnt horticulture, and started using ceramics after 6800 B.C. 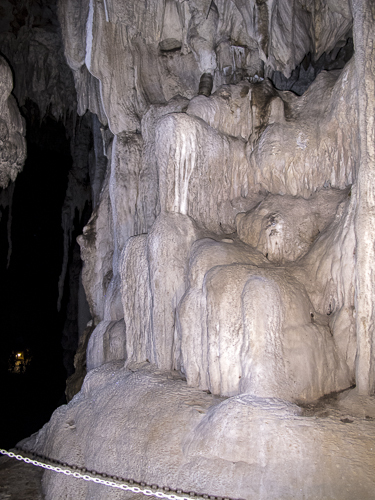 It features colourful stalactites and stalagmites, and has small sub-caves leading off into dark interiors that you can explore to your heart’s content, for it was originally crammed with ceramics and other artefacts from the Ban Chiang era. The Spirit Caves actually consist of three connected caves, with the first one being a grotto, the second one containing pre-historic paintings of deer, and the third one containing pre-historic canoe shaped coffins. 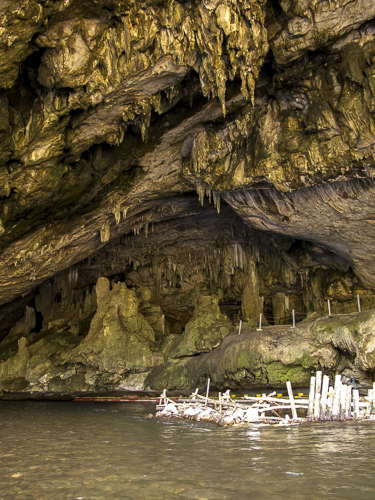 The Spirit Cave project, under the aegis of the Thailand archaeological department, offers guided tours to all the three caves, and there is even a fantastic boat ride to the third cave. The outlet will take you into the jungles outside, and you can trek back a couple of kilometres back to the parking lot.